Item # 302294 Stash Points: 2,195 (?) This is the number of points you get in The Zumiez Stash for purchasing this item. Stash points are redeemable for exclusive rewards only available to Zumiez Stash members. To redeem your points check out the rewards catalog on thestash.zumiez.com. Achieve a bold look with the Ranked Red & White Striped T-Shirt from Zine. 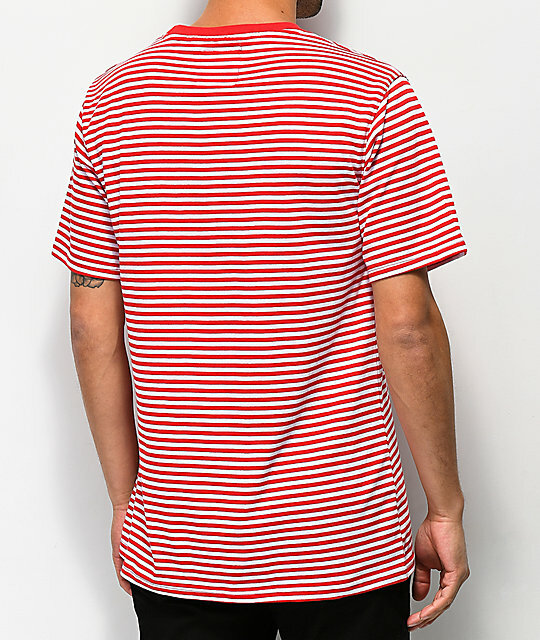 This red and white striped tee is made from a soft cotton/polyester blended material and features a red banded crew neck collar for a touch of contrast. An embroidered Zine logo at the bottom left hem completes the design of this ultra-versatile relaxed fit tee. 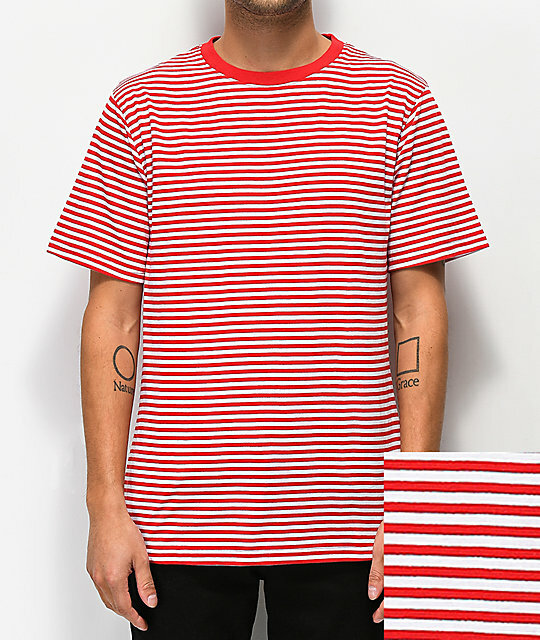 Ranked Red & White Striped T-Shirt from Zine. Red and white striped pattern throughout. Banded, red crew neck collar. Embroidered logo graphic at the lower left corner.